When someone asks you to fly to a Greek island so that you can photograph their nuptials, the answer is very clear. 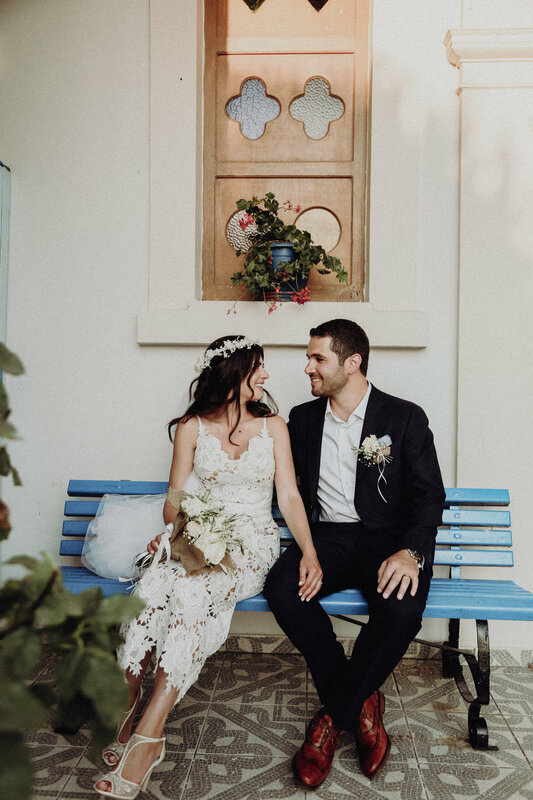 Amalia + Paul are very closely tied to their Greek heritage, and as such wanted a very special ceremony. This brings us to the island of Lesvos, Plomari to be exact, where the groom's parents own a vacation home. The entire experience felt very old-world: the village residents peeking out of their windows to see what was going on, bystanders clapping and shouting their best wishes, and the most adorable tiny Greek church I ever did see (not that there have been many to compare it to). 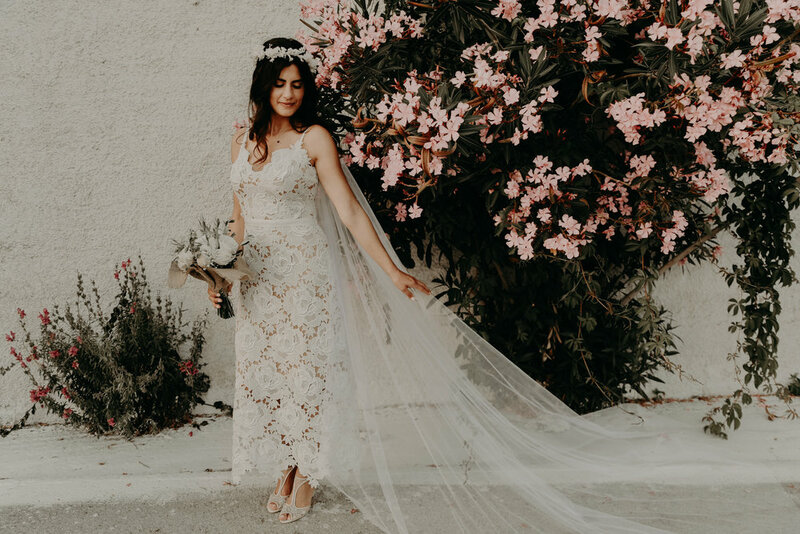 The ceremony itself was recited in ancient Greek, which many of the guests who spoke modern-day Greek even had a hard time grasping. Although I felt a little lost, the bride's mother graciously gave me a heads up for all of the important ceremonial elements. Post-ceremony, we headed to a covered outdoor patio overlooking the moon-lit beach. The reception was filled with food, wine, and dancing, as any Greek celebration should be. And in case you didn't know, the Greeks can RAGE until the wee hours of the morning. With jet lag on my side, my evening/morning ended with watching the sunrise with a glimpse of Turkey in the background. Opa!